This article was originally published by War on the Rocks on 23 March 2017. This past September in an audience hall in Tehran, a prominent vocalist named Sadegh Ahangaran took to a microphone to justify an Iranian military adventure. Ahangaran had earned the nickname “the nightingale of the Imam” for his melodies of martyrdom decades earlier during the Iran-Iraq War, his defiant voice often the last thing Iranian combatants heard before death. In his more recent performance, Ahangaran drew on these talents to serenade a similar crowd, but about a different war. 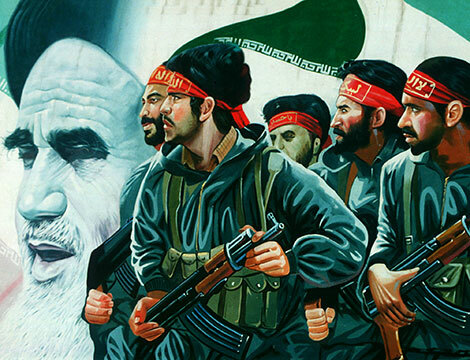 “I must break their windpipes in Aleppo, so that their feet do not touch Kermanshah,” sang Ahangaran, clad in the uniform of a member of the Islamic Revolutionary Guard Corps (IRGC). Reaching a crescendo, he thundered, “Since we have said no to the arrogance, we have disturbed the dream of the enemy … We are behind the Mullah until martyrdom.” Enraptured by the recital and seated on the floor before him were soldiers and commanders, past and present, of the IRGC. On a stage directly in front of them was their Mullah – Iran’s supreme leader and commander-in-chief – Ayatollah Seyyed Ali Khamenei.